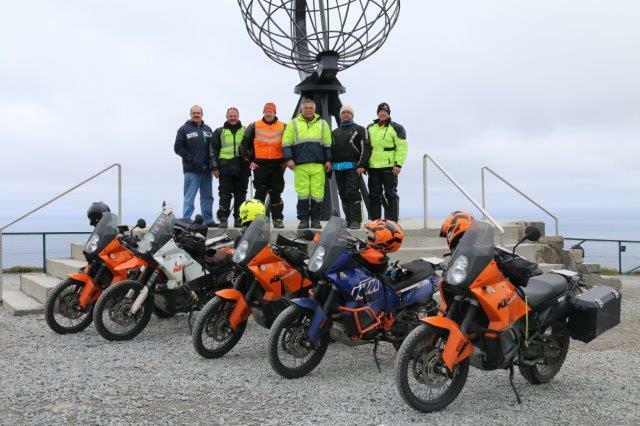 In October 2013 Fleisch, ( the writer of this blog,) was going to turn 50, and he thought that it would be a good idea to celebrate this momentous occasion with an equally momentous motorbike ride from London to Cape Town South Africa. He challenged a few of his friends to join him for what was planned as a short 4-week ride. The planning started towards the end of 2011 and Equipment was bought , everything from Sleeping bags, to Mosquito Nets and from Helmet Cameras to “braai” grids. “Braai” is a South African word that describe the action similar as what is commonly known as a Bar B-Q, but Braai is actually far more than simply “cooking meat out-doors” it describe the passion that goes with making a wood fire, using the correct method depending on what wood is used, the drinking of several beers and wine while waiting for the coals to form, the discussions around the fire that covers recent sport, family matters and recent business successes, (any business disasters is discussed much later, long after the fire’s coals has died down,) And the meat is carefully chosen, marinated, cut, skewered or trimmed, and the sausage Boere Wors, (Farmers sausage) is made using secret family recipes.The route was planned, puncture repair courses were attended and in preparation several “training rides” were undertaken in the months leading up to “ The Big One” as it got known, many a Braai was held to plan and discuss the adventure. The 5 mates were oozing with confidence as Africa has been their back-yard playground for many years and many kilometres have been travelled together through Mozambique, Swaziland, Lesotho, Malawi, Zambia and Botswana, I always felt that I was the best prepared as in the few years leading up to this Big One, I had rode my trusty old BMW’s just over a 100 000km (my 1st GS was nick-named Mevrou, (meaning Maddam) after I was addressed as woman by a rather intoxicated person asking me for money outside a Liquor store in the Cape Province, to great amusement of my fellow riders, (in this person’s defence, this BMW was very brightly painted in the colours of the South African flag and I did have my helmet on, and the person he had asked before me was dressed in all-black riding gear on a black motorbike, so I could have looked the part of a female,) and on my 2nd GS 1150 Adventure (named Dusty due to always being covered in dust.) This ride we thought would be only a slightly more challenging journey as to what has been done by us before. There was even a big vote on whether new motorbikes should be bought so that reliability would not be an issue. It was decided to buy 5 new KTM 990 Adventures for this ride. Then we bought every possible spare-part we might need and then two of the more Technical members of this group even went to spend a day in a KTM workshop to learn more and then a course was done on how to repair any broken shock-absorbers. We felt in control of our destiny. But we were wrong, as our route that we had chosen all of a sudden had to change, there was an Arab Spring in Egypt and in Libya Ghadaffi was being chased around. In spite of these “signs” we loaded the three South African motorbikes into a container and as an after-thought a Toyota Land Cruiser pick-up was also loaded which would be used mainly as an ambulance and fuel-tanker along the route, but would also be used to carry the spare-parts and tools. We decided that we would take a different friend to be the driver of this Back-up vehicle on every trip. One of our group members, “Tex” which had immigrated to America and therefore the other two KTM’s were bought in Texas and shipped to London. One het die laaste been deur gewerk – fotos en al. Lyk awesome, Johan!